Here are some cheap Valentine decoration ideas to get you started preparing for your special day. After taking down all of our Christmas decorations, the house seems empty. Since these are so easy to make, let’s cheer up our home with some cute Valentine decor. 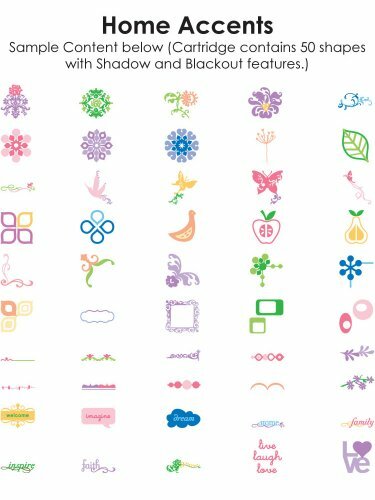 In a hurry to get started?—-See the best deals Cricut Cutting Machines here. Step 1: First, cut out the hearts as listed below. 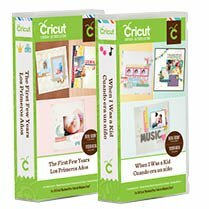 Use the Cricut When I Was A Kid Cartridge Heart image #M3775B using either the image or the shadow set to the following dimensions. First, 16 white hearts that measure 5.15 x 4.06 -inches. Next, four red hearts that measure 5.02 x 3.85 -inches. Then, four black hearts from your textured cardstock that measure 4.68 x 3.59 -inches. Last, four more black hearts from your smooth card stock with the same measurements. Step 2: The white hearts and letters are each made using four layers of card stock glued together to create the chipboard look. The black hearts are created using two layers, with the textured layer on top. Next, use your liquid glue for this part, since it allows you to move your shapes until they are lined up. Set them aside with some weight on them to dry. If you are concerned about getting glue on anything, put down some paper first, then the stacked hearts. Next, cover the hearts with plastic (the plastic sheet from your cutting mat works great for this) and lay a book on top. Allow to dry completely before using them in your design. 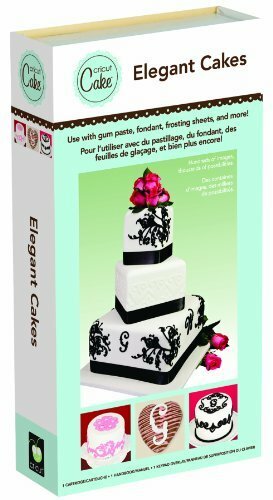 Step 3: Then, cut out four sets of your letters using the Cricut Cake Cartridge, Elegant Cakes font. You can place them on the hearts on your screen before cutting to make sure you like how they will fit in the hearts. When I cut out the letter i in the word is, I wanted to change the dot over the i. You can get this same look by punching out four tiny hearts using a 1/2-inch Heart Punch. Step 4: Put three of each letter into your sticker maker. Using your remaining letters as bases, stack up the three sticky letters to form your chipboard like letters. Step 5: Using the Cricut Solutions Cartridge, Home Accents, cut four Love #M3E2B3 shapes from red cardstock. The image should be 5.15 x 6.77 -inches. Next, use your liquid glue to make a four layer chipboard image for your Valentine decoration. 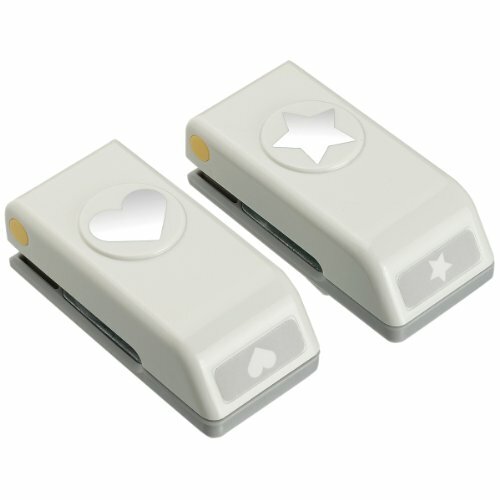 Step 6: Using the Cricut When I Was A Kid Cartridge Heart image #M3775B, unlock the picture and resize it to 1.83 x 2.09 – inches. Cut two of these shapes, one from black textured cardstock and one from regular black cardstock. Glue them together and attach to the Love Shape. Step 7: Finally, cut four of the Up Arrow #M41794 image from the Cricut, The First Few Years Cartridge to 0.56 x 3.37 – inches from white cardstock. Make your chipboard layers for the arrow just like you did the hearts and letters. Then attach to the love shape. Step 8: Place completed 12 x 12-inch layout in the frame and put your masterpiece on the wall. Great Job! 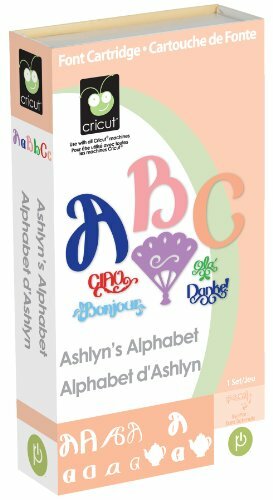 Step 1: First, use the Cricut Cartridge, Ashlyn’s Alphabet to design your image. Edit the size of the Heart Shape #M2F3BA to 4.69 x 5.48 -inches. Use the mirror image so that your heart will look right after you iron it on. Place the craft heat transfer vinyl shiny side down to cut your heart out. Step 2: Next, using your weeder tool, remove the vinyl that you will not be ironing onto the dish towel. (This process is called weeding.) Peel the vinyl slowly, so you don’t tear the image. Step 3: Then, place the image on the towel in the position you want to iron it on. Use another towel or soft cloth between the shape and the iron to prevent sticking. Iron the image on putting slight pressure on the iron in a side to side motion for about 20-25 seconds. Repeat this process three times to that you end up ironing for a total of just over one minute. Allow to cool completely, before you peel the plastic free. Step 4: Finally, slowly and gently remove the plastic from your image, starting in one corner. Wow, can you believe it? You are already finished and your towel looks amazing! Check this out! You can find everything you need to make the Cheap Valentine Decoration Ideas shown here. Designing these creations has given me some fantastic ideas for additional Valentine Decoration Ideas that I will include in another post. Stay tuned for more great Cheap Valentine Decoration Ideas! ~This post contains affiliate links which help support this site at no cost to the reader. Click to see my disclosure policy for details.